Create the right impression with this dainty Everpot Custom Mug. 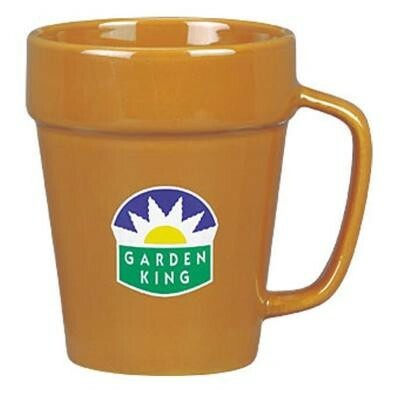 Featuring a distinct flowerpot design and made from high quality ceramic, this promotional merchandise can easily boost brand recognition. 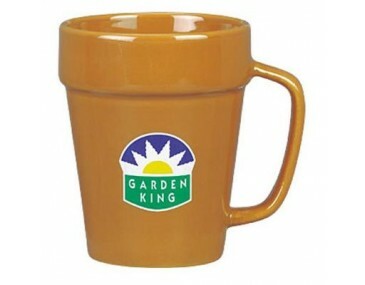 Printed with your corporate artwork or logo, this ceramic mug is a cost-efficient yet effective advertising tool. Our prices listed on the website is for 1 colour print. For pricing with more than 1 colour, please let us know and we can supply you with an revised pricing. Print Set up of $75+gst may apply. In addition to the listed price of mugs, please add 10% GST and delivery cost. This Everpot Custom Mug is availlable in Terracotta colour only. This mug is proudly Australian made. To decorate, please supply us with a EPS or AI adobe file saved with vector lines. Turnaround is within two weeks from artwork approval. A shorter turnaround can be accommodated. Please enquire with our sales team.